2018 was the hottest year ever recorded in the planet's oceans, and climate models have been accurately predicting their warming. What’s it all mean? Because humans live on Earth’s surface, it’s only natural that we focus primarily on the air temperatures that we experience most directly. But most of the heat trapped by the tens of billions of tons of greenhouse gases released into the atmosphere each year is absorbed by the oceans; it’s there that El Niño and La Niña events exert significant influence over the amount of heat transferred each year to the air. As a result, surface temperatures are quite variable, and the public at large can mistakenly focus on short-term surface warming changes and lose sight of the big picture: The heat has to go somewhere, and Earth overall is regularly breaking temperature records in the oceans, in the air, or in both … and doing so almost every year. There are a number of important points to take away from this research. First, as is the case with global surface temperatures, climate models have done a very good job projecting changes in ocean heat content. 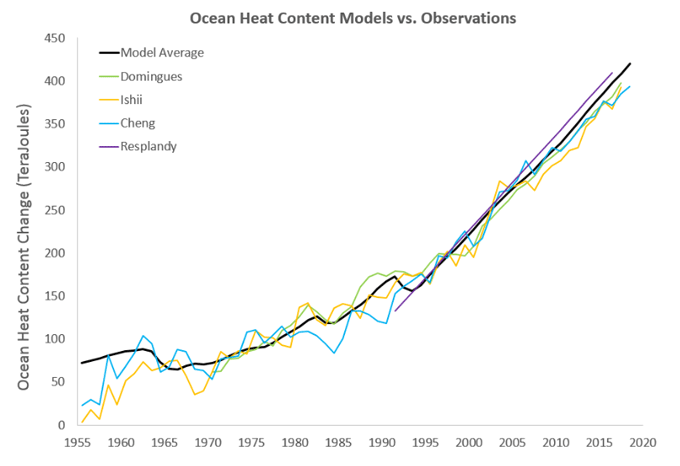 In fact, previous discrepancies between observations and the model average appear to have resulted primarily from problems and data gaps that have since been largely corrected. Second, the intense media and climate contrarians’ focus on the seeming so-called “pause” in global warming several years ago was misguided. Not only was there a lack of statistical evidence for a pause in the warming of global surface temperatures, but the oceans and thus the Earth as a whole continued plodding along breaking heat records. Nearly every year the oceans, air, or both have been consistently breaking temperature records. 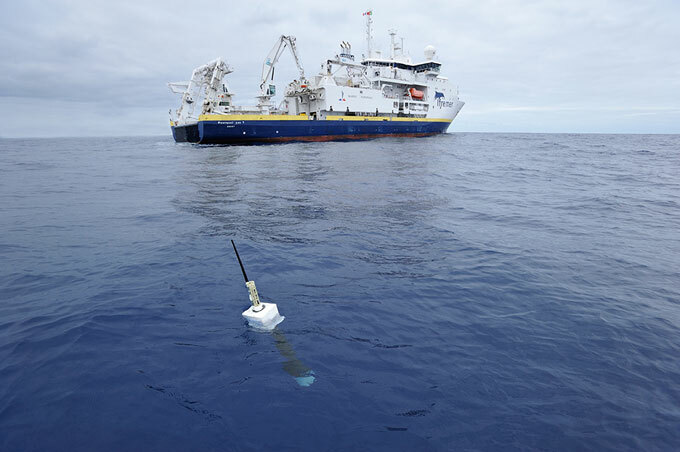 Third, the rapid warming of the oceans has many negative consequences. For example, additional warming makes sea level rise faster, intensifies hurricanes, worsens floods, and harms key marine species like coral reefs. Recent papers in the Proceedings of the National Academy of Sciences (PNAS) and Nature, for instance, have identified accelerating ice loss from Greenland resulting from global warming, four times faster in 2013 than in 2003. And a recent paper in PNAS found that Antarctica is losing ice five times faster now than it was 20 years ago. The scientific evidence continues to mount that as long as human activities keep increasing the greenhouse effect, ocean warming and its impacts will continue to grow. Because of what’s known as “thermal inertia” – the fact that it takes time for ocean waters to heat up and interact with the rest of the climate system, much as it takes time for a car to stop after the brakes are applied – the oceans and Earth will continue to warm for decades after humans get greenhouse gas emissions under control. It all helps explain the urgency to curb greenhouse gas emissions as quickly as possible in order to dampen these adverse impacts.